Last month the American hard rock band Soldiers of Solace signed with the German record label Rock’N’Growl Records. Since then the group have been spending lots of time in the studio working on their debut album which is scheduled for later this year. In the meantime you can check out their first single ‘Cold As A Stone’. My first death metal review of 2017! The last death metal release that caught my attention was the latest Vader album, which was mentioned in my top ten metal releases of 2016. I have to admit that when it comes to death metal I’m more familiar with the European death metal than the North American variety. My knowledge of the American death metal scene is mostly based on my experience of a handful of bands, primarily old Morbid Angel and Cannibal Corpse. Immolation started out around the same time as Morbid Angel and that’s why they caught my attention. So I decided to check out their latest album. The pace is fairly varied, ranging from mid-paced to slow depending on the track. It’s clearly not meant to be all about the blast beats or the ultra fast shredding of guitar riffs. That’s not to say that all the tracks are slower and ponderous but rather that the overall style, particularly the guitar and drum patterns have a more complex and ‘layered’ approach. For example there is the groove-laden Throw into the Fire, which comprises a mixture of low-tempo, sludgy death metal at the start leading towards some faster, more death-thrash style midway through before slowing down again at end. For those who want something more aggressive and brutal, then Lower and the title track will not disappoint. These two are structurally simpler and less technical than some of the other songs on here, with the emphasis being on the thrashing guitar riffs and pummeling drums. ‘Lower’ caught my attention due to the thrash metal tinges in guitar riffs half way through the song. In summary, what we have here is a very consistent, old-school death metal album. For those who are familiar with Immolation’s earlier work, ‘Atonement’ doesn’t offer anything dramatically new. There’s a good balance of aggression and brutality with melody and precision. It might take a few listens to get into, but once you do you will be rewarded for your patience. The length of the songs is an automatic downer for me. Yes, it’s not exactly new that Overkill like to shred away longer than the rest of their fellow thrash bands, but I believe it’s the first time they’re pulling an average of six minutes per song (literally, kids – it’s ten songs in one hour; do the math). That’s just too much. At least they diversify the structure and it’s not the same riff over and over plus a 3-minute solo; it doesn’t get boring out of repetition and here lie my mixed feelings. Crafted compositions are clear, rich with groovy patterns, but some kind of binding agent is amiss. The opening track, “Mean Green Killing Machine”, for instance. The introductory drum beats are promising but soon reveal they’re not getting anywhere; a Judas-Priest-like melody and the rock’n’roll piece that it leads to are both pretty catchy, but fall somewhat adrift among the main riffing. One of the features I’ve always loved the most in Overkill was their bass line, but D.D. Verni’s presence here is shallower than usual – needless to say, another downer. And as if that wasn’t enough, in “Shine On”, one of the songs where the bass stands out a little, Bobby Blitz sounds like a chicken when singing “come on” in the chorus, ruining the moment. Curiously enough, one of my favorite tracks is less thrash, as the aforementioned rock’n’roll comes at full force in “Come Heavy”. But the rebellious “Red White And Blue” follows suit in terms of preferences and that one is as thrashy as it goes. The rest of the album… well, let’s just say that it lives up to its title: it… grinds. What is it with Greek metal music and me. Every single band/artist I lock my ears on to from Greece, I absolutely love them. I must make an effort to get to Greece one day for a gig or a festival. Need, are a progressive metal band from Athens, they’ve been around since 2004. 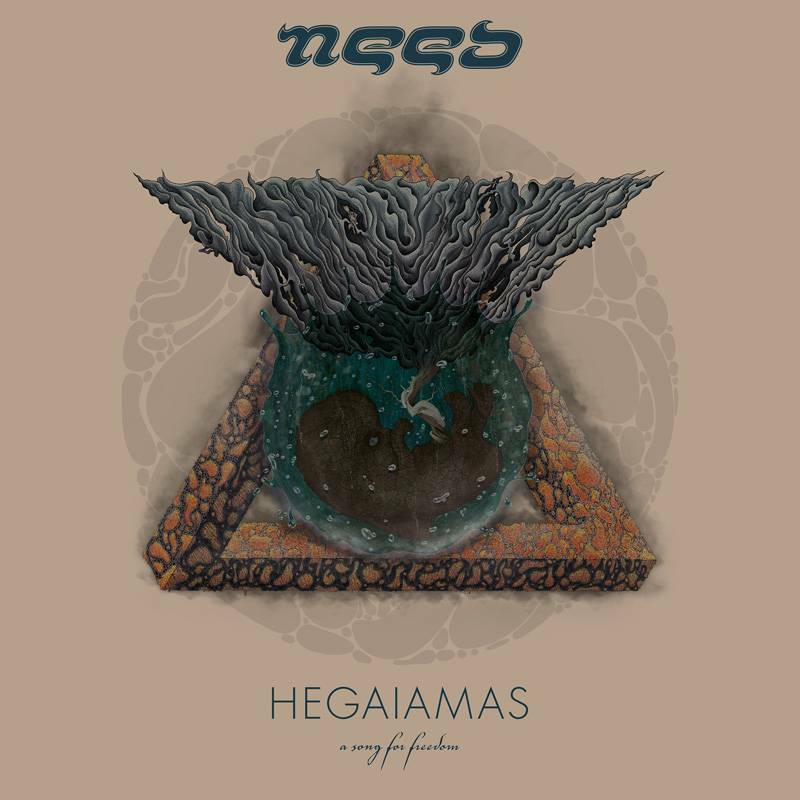 Hegaiamas: A Song for Freedom is the fourth album from them and it’s good. Like, really good! I have to say I’m really impressed with this album. There are some absolute powerhouse tunes with solid production. Everything is clear and balanced, with right amount of emotion drawn out of every song. The musicianship on display is pretty damn superb. The band gel together so well and deliver and amazing performance here. They manage to produce a decent amount of atmosphere that lingers across the record. It sounds simply wonderful. The spoken word parts also add to this, in fact the track ‘Iota’ really does make the album feel more of an experience than just a record. They way the performance and production move me on this album is staggering. The vocal performance is excellent had it really draws you in. Seriously not a bad thing to say about this one other that it’s a damn great record with and amazing atmosphere. The band have clearly grown to a point where they can make great tunes consistently and they really sound great. The melodies are enchanting and the lyrics, captivating. This is really a record you need in your life. I’ve already gone back through their discography and picked up their previous albums. They have a maturity not found in other bands of their ilk. The smooth musicianship coupled with amazing writing makes this record an experience you have to immerse yourself in.